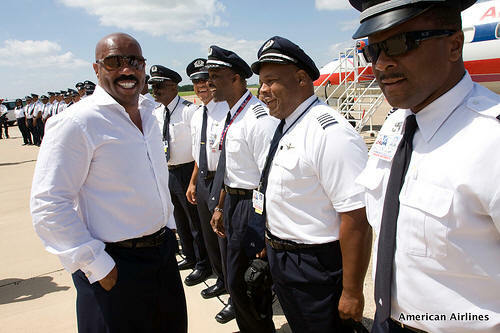 June 26, 2009, FORT WORTH, Texas – One hundred boys from around the country got perhaps their first look at what it takes to be a pilot – and some life-changing advice on how to make their own dreams come true – from entertainer Steve Harvey, who was hosted by American Airlines over Father’s Day weekend. The boys attended the first-ever Steve Harvey Mentoring Weekend this past weekend at his Dallas ranch. The actor, comedian and best-selling author created the mentoring weekend to support boys ages 13-18 who are being raised without fathers in their homes. During the camp, they visited the C.R.P. Future Pilots Flight School, which is sponsored by the airline. 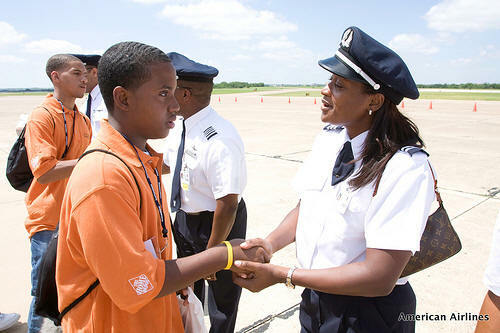 The school, based at Executive Airport in Dallas, teaches at-risk children in the Dallas and Tarrant county school systems to become pilots and aircraft mechanics. Harvey also called on celebrity friends, business leaders, and other corporate sponsors to lead seminars on topics that included getting in and staying in college, making the best impression and other areas of self-development. 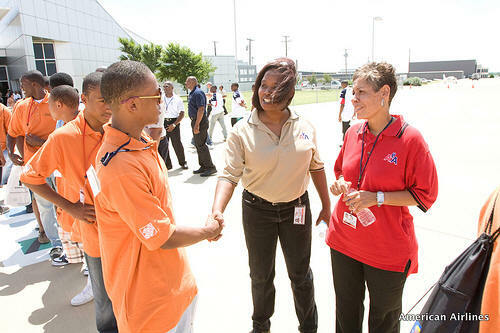 African-American aircraft mechanics and pilots from American and American Eagle also participated in the event. And, about 30 pilots flew in from around the country to meet the campers. Several retired pilots, including Capt. Dave Harris, the first African-American to fly for a commercial airline, also joined the group. 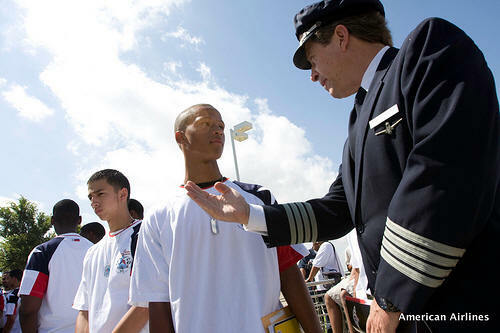 American and American Eagle have some of the most diverse flight crews in the industry. The C.R.P. Future Pilots Flight School was founded in 2008. Many of its students are from economically disadvantaged backgrounds and probably would not otherwise be exposed to a career in piloting or aircraft maintenance. Through classroom instruction and hands-on training, students spend four years taking courses in mathematics, science, and avionics, which are the foundations for an airline career. 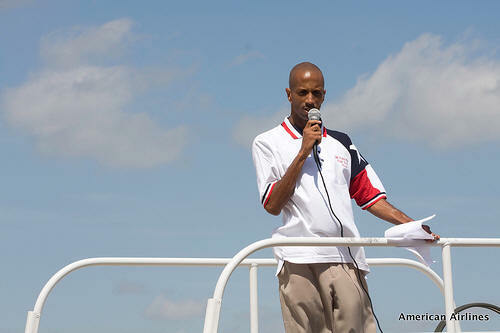 The school provides the training at no cost to those who cannot afford it. The mission of the Steve Harvey Foundation is to improve public schools in urban areas by upgrading facilities; purchasing books, technology and other essential resources and to provide educational and mentoring opportunities, for middle & high school students to enable them to envision and realize their dreams. American Airlines, American Eagle and AmericanConnection® serve 250 cities in 40 countries with, on average, more than 3,400 daily flights. The combined network fleet numbers more than 900 aircraft. You can watch a video of this event at http://www.youtube.com/watch?v=fkkQQ3KPfW0.